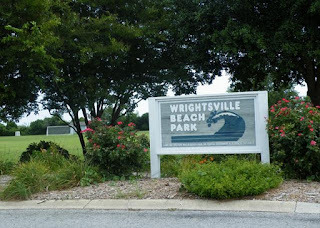 The Town of Wrightsville Beach division of Parks and Recreation hosts sports leagues for adults including flag football, basketball, and men's and women's tennis. Games and matches are held at the Wrightsville Beach Park on Causeway Drive. Residents and non-residents are welcome to participate, each with a different fee structure. There are fall, spring, and summer seasons for the sports leagues. Learn more about the Wrightsville Beach sports leagues and get registration information here: Wrightsville Beach Parks Sports Leagues. Wrightsville Beach is known for its pleasant weather, friendly community, great surfing, and beautiful beaches. 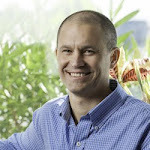 While the island is a popular tourist destination during the peak season (typically mid April through August), the off season can provide visitors with a nice vacation at a laid-back pace. Visiting the area during the winter can mean less hassle and fewer headaches that are sometimes associated with being in a tourist town. While the weather may be cooler in the off season, temperatures usually don't go any lower than the mid 50's during afternoons in December and January. The area typically gets less than 4 inches of precipitation in the first two months of the year as well, which can be a great escape from the harsh winters of the North! Fewer crowds can mean not having to wait in line at the gift shops or worrying about reservations at the local restaurants. Less traffic on the island can allow for easy navigation of the area and getting from point A to point B without hassle. When it comes to accommodations, many Wrightsville Beach resorts and hotels offer special discounted rates during the slower months. For a family on a tight budget, this can be a great way to have a fun-filled vacation without breaking the bank. As for things to do while on your vacation, this beach town has a lot to offer - no matter what time of year it is! Activities like sunbathing and swimming may not be great ideas, but there's still plenty to do here in the winter! Nearby shopping at Lumina Station, special winter events like the Holiday Flotilla or Enchanted Airlie and close proximity to historic Wilmington are just a few great reasons to consider a winter vacation in Wrighstville Beach. Contact Hardee Hunt and Williams real estate for more ideas about winter living in Wrightsville Beach: 910-256-6998. As 2011 comes to a close, what kind of resolutions will you be making for 2012? If you live, work or play in Wrightsville Beach, chances are you've experienced several of the island's attractions. If not, now's the perfect time to think about the things you'd like to do here. Dining locally, patronizing local businesses, visiting local attractions and enjoying the natural beauty of this area will not only help you have more fun in 2012, it will help support your community and your local economy! Here are a few resolutions for the Wrightsville Beach resident. If you see anything you haven't done, be sure to add it to your New Year's resolution list! 1. Walk, run or bike "The Loop" - The Loop at Wrightsville Beach is a circular 2.45-mile path around the public park and scenic marshes and through the village of Wrightsville Beach. Many locals utilize The Loop, as it provides a great way to stay in shape while enjoying the beauty of the area. 2. Take a surfing lesson - Wrightsville Beach is a popular surfing destination on the East coast. If you've never surfed before, there are several surfing schools in the area. 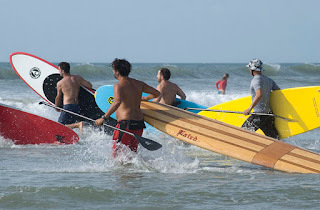 WB Surf Camp, Indo Jax, and Kowabunga are a few popular surf schools in Wrightsville Beach. 3. Visit Masonboro Island - Masonboro Island is the largest undisturbed barrier island along the southern part of the North Carolina coast. If you want to enjoy coastal beauty without the heavy tourism, Masonboro Island is a must. Be sure to secure reliable transportation, as the island is only accessible by boat! 4. Learn to paddle board - Stand up paddle boarding, or SUP for short, is becoming a very popular way for people to enjoy the water. Although it takes a bit of practice, most people quickly get the hang of it. It's a great way to explore inlets and waterways around Wrightsville Beach. If you don't have your own paddle board, there are a few places to rent one on the island. 5. Visit the Wrightsville Beach Museum of History - Learn about the town of Wrighstville Beach and its humble beginnings. The museum hosts several events throughout the year and features rotating exhibits that highlight Wrightsville Beach life and lore. 6. Book a weekend "staycation" at aWrightsville Beach hotels - Even if you live in Wrightsville Beach, why not treat yourself to a little room service and pampering? With several options for lodging on the island, from five star resorts to quaint motels, there's something for just about any budget. Not to mention you can usually snag a great room rate during the off season! These are just a few suggestions for making 2012 a great year to live on Wrightsville Beach. Visit the Wrightsville Beach Visitors Center or check out their website (http://www.visitwrightsville.com/ ) for more ideas!